Though she was born in Los Angeles, Jill Torres has lived in Eugene since age three, when her parents separated and she moved north with her mom. She went from Meadowlark Elementary to Crest Drive when her mother remarried, then to Jefferson Middle School. "It was a wonderful environment," she says, "with a lot of social justice activists." Meanwhile, her mother got a degree in education and began teaching fifth grade at Oak Hill School. "I had the opportunity of free high school at Oak Hill," says Torres. "My graduating class was 10 people." She studied Spanish at Jefferson and continued at Oak Hill, where her teacher was Armando Morales. "He got me reconnected to my Latino culture and heritage," she says. "He challenges students to do things outside the classroom." She and Morales' daughter Victoria became hosts of segments on Morales' Sunday night KLCC radio Latino music program Ahora Si! "We played more modern music," says Torres, currently in her 11th year of hosting the program. 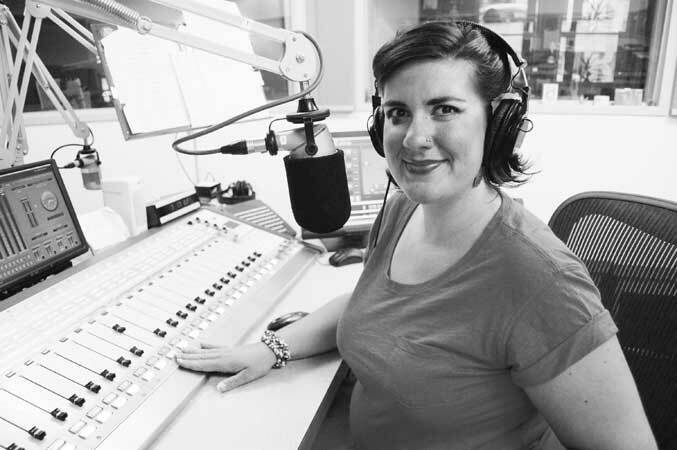 "We recruit students and train them to do radio." She majored in Spanish and psych at the UO, worked three part-time jobs, and also volunteered with Sexual Assault Support Services (SASS) and with Ganas, an after-school mentoring service for Latino middle-schoolers. "Ganas channeled me into teaching," says Torres, who completed a master's in education and now teaches Spanish-immersion fifth grade at River Road Elementary. "I've become my mother!" She has been active with the teachers' union in founding the Community Alliance for Public Education, a group opposed to standardized testing and privatization of education.